Kidney Disease Treatment by Stem Cells- Kidney serves a vital function in the human body of filtering the excess of water, solutes, blood and waste products which need to be discharged from the body in order to work in a regulated manner. Kidneys are a pair of structure which are similar to a shape of the bean which helps in removing the toxins and aid in pH regulation, salt concentration and maintain the potassium levels within the body. They activate certain hormones which help in the production of red blood cells and also increase the calcium absorption by activating enzymes for Vitamin D.
Kidney stones: This is the most common kidney disorder faced by a large section of the population. When the filtering capability of the kidney is restricted it causes the formation of crystal made up of salts and minerals. These toxic crystals are called stones. Kidney stones usually pass out through urine but cause a lot of pain. Polycystic kidney disease: As the name suggests many cyst forms within the kidneys and thereby, inhibit the function of the kidney to throw out waste from the body and further, cause kidney failure. Chronic kidney disorders: Due to high blood pressure the kidney too faces a severe disorder in which there is over usage of the kidney as it has to perform more and more to filter the waste and blood thus, leading to over burden and after prolonged use, the cells become weak and give up the task. Hence, the function of kidney declines and gets damaged. Kidney disease symptoms include frequent urination, loss of appetite, fatigue and wear down, lethargy, weakness, dryness in the skin due to dehydration, puffy eyes, improper sleep, anaemia, inflammation of the kidneys, vomiting, increased levels of salts, like, potassium, an imbalance in the pH etc. Kidney diseases can be treated but in chronic kidney disorders the effect can only be decreased to an extent but cannot be cured. Once diagnosed with the kidney disorders one can control the worse by taking care of blood pressure, maintaining the blood sugar and cholesterol levels, eating proper food, etc. Kidney disorders drugs, medicines: Treatment for kidney disorders deal with the prescription of certain medications or drugs which reduce the blood pressure thus, taking away the extra workload from kidneys and preserving the cells for e.g. ACE inhibitors or Angiotensin II receptor blockers. Along with these, it is favourable to take medicines which reduce cholesterol in the body as it can increase the risk of heart disease e.g. statins. Further medications are also given to treat anaemia as these medicines enhance the production of red blood cells which may relieve fatigue and weakness. Doctors also prescribe calcium and vitamin D supplements to prevent weak bones and lower the risk of fracture. Diuretics are given to maintain the balance of fluids in the body; otherwise, fluid retention can lead to swelling in the legs, as well as high blood pressure. In addition, it is beneficial to abstain from drinking alcohol and smoking, as it hampers the action of the medications. Moreover, cutting down on sugary and high cholesterol foods, eating green vegetables, whole grain food, fresh fruits, etc, provides specific proteins and enzymes which activate and elevate the filtering capacity of the kidneys. Also, avoid products with added salts, choose lower potassium foods and limit the amount of protein you eat so as to minimize the workload on the kidneys. 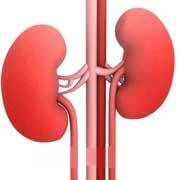 In chronic kidney diseases, two most opted treatments are dialysis and kidney transplantation. Dialysis is an artificial method which filters the blood and helps in excreting the waste products out from the body. It is usually prescribed when kidneys are near to failure or have completely failed. Kidney transplantation in which the patient’s kidney is exchanged with the normal functional kidneys obtained from a kidney donor, but, this is comparatively a difficult task as the donor’s kidney should match the patient’s kidney. Also, after the surgery to there can be organ transplant rejection by the body. You’ll need to take medications for the rest of your life to keep your body from rejecting the new organ. You don’t need to be on dialysis to have a kidney transplant. Regenerative medicine holds a strong capability to fully heal the damaged tissues and organs by boosting the natural ability of the body to heal itself, replacing the tissues and organs from a living or deceased donor to the one who needs them, providing specific cells to disease tissues or organs to restore tissue and organ function. Don’t miss this Free Webinar (Advancing Global Nephrology: New Innovations and Trends) session on 16th April 2018. register yourself.